Managed interactive projects across multiple digital platforms more than ten years for interactive agencies and start-up projects. Expertise in design and tech solutions from conception to production. Effective coworker of creative, development, and cross functional teams. Proven expertise on social platforms. Ten years experience consist of marketing and development of digital communications across multiple channels and platforms. Proven track record of lead a multi-disciplinary team to a desired result, under tight deadlines. Last five years, as an Interactive producer, working with colleagues and business partners across the globe. Last ten years, produced, designed or developed more than hundred interactive projects for the most valuable Local and Global brands. Won several awards in local and global aspects. Good team player, a creative thinker, and an ambitious self learner. Analytical contributor who approaches each and every task with concerted dedication and meticulous attention to detail. 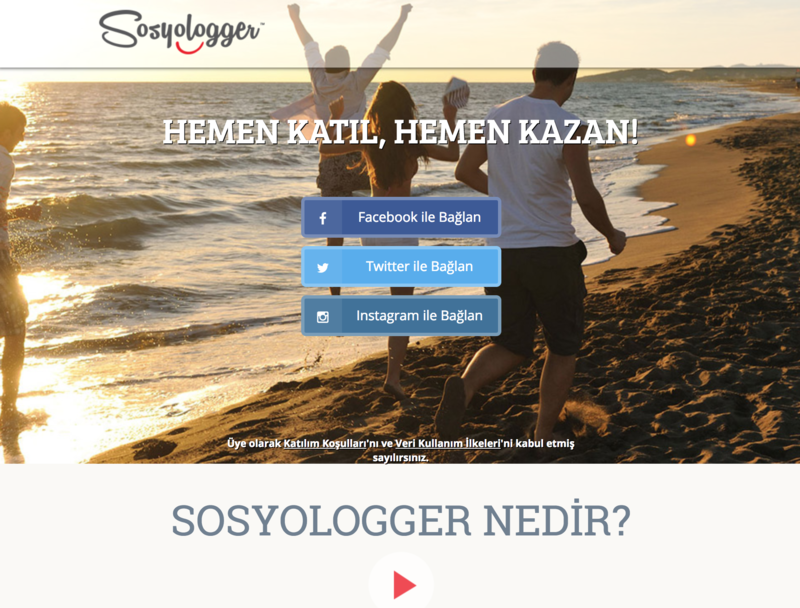 Sosyologger is a social media sharing platform. Its collecting and analyzing data from users and offering them relevant commercial content to share. When users share this content, they automatically wins some prizes. It can be called one of the earliest examples of big data company in Turkey. Clesdistanbul was established in 2016 in Istanbul, Turkey. 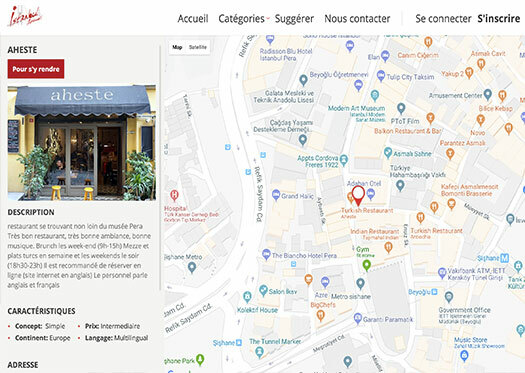 Its a web site for French expats in Istanbul. Web site content provided by community members for sharing their experience about local places in Istanbul. 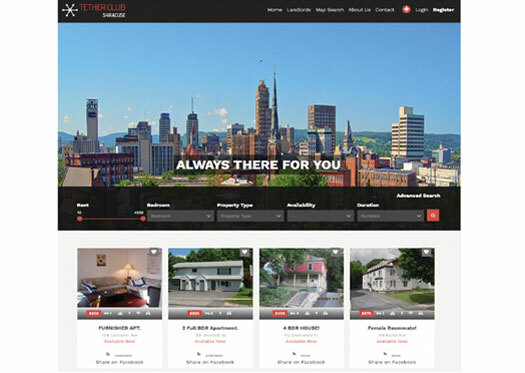 Tether Club was established in 2015 in Syracuse, NY. The company was created to help students find the right housing and provide a healthy networking exchange among student housing community participants and students. Tether Club was created for students by students. 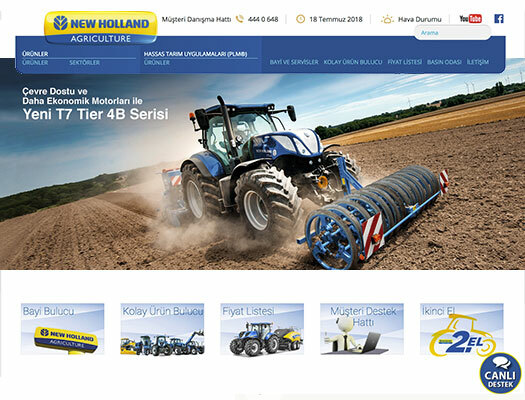 Redesign and development of Turkish New Holland agricultural machines and equipments website. 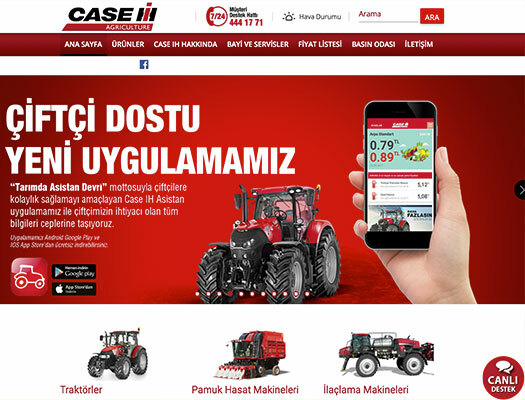 Redesign and development of Turkish Case IH Agricultural agricultural machines and equipments website. New Holland Construction is a key player in the global construction equipment industry born of the rich heritage of brands that made the history of this sector. With a network of branches, manufacturing plants and R&D centre that spans the world. 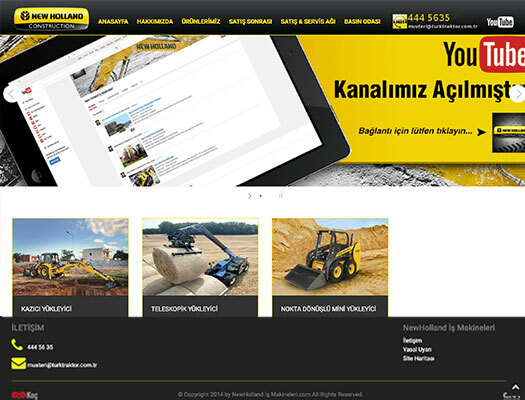 This project is development of Turkish web site acoording to local needs and expectations. Zorlu Air is offering you, our precious passengers, a safe and first class V.I.P. Air Taxi service with a BELL430 and a AgustaWestland 139 model helicopters and a GULFSTREAM 450 (G450) type airplane which it has included in its fleet in August, 2012 which are in its private hangar at Ataturk Airport. Galatasaray fans are known worldwide for their passion and for having the record of loudest- crowd support in the stadium. This digital campaign enabled fans to fuel the fighting spirit of the team. Original concept was developed by W+K Amsterdam. 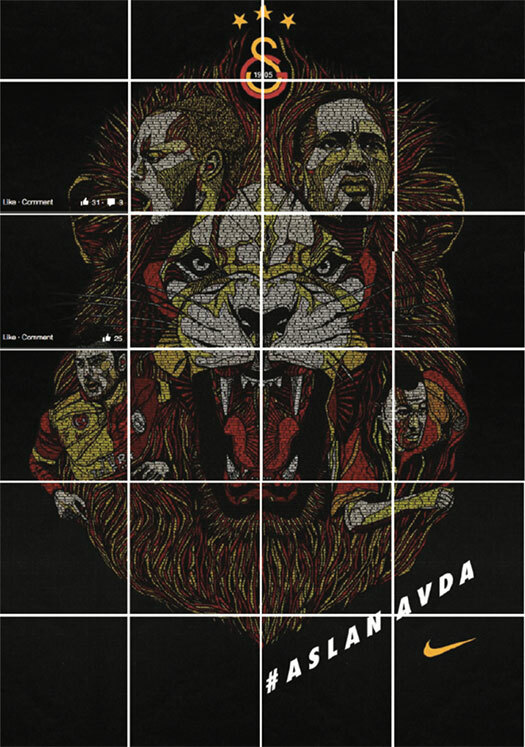 The lion, traditional symbol of the club, became the insight for the Aslan Avda (The Lions Are Hunting) campaign, designed to unite the 25 million Galatasaray fans through social media and print. The creative centerpiece is an original artwork by Luke Dixon. 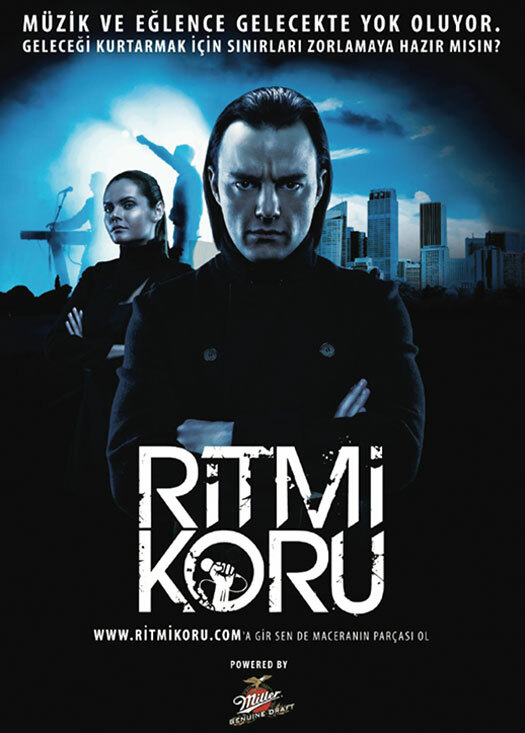 Ritmi Koru (Save The Rhythm) is an Alternate Reality Game (ARG) created for Miller Brewing Company. It includes more than 100 puzzles, 75 videos, 10 flash games, 40 missions, a network for players, 12 different web sites, guerrilla and viral activities, flash mobs, silent raves, passwords hidden in to TV teletext channels, advertorial newspaper news, hidden puzzles or passwords in to the Turkish blogs, billboards, posters, and promo bags which were sent to newspaper columnists and players. The project expanded into web, off line, mobile and events. It was the largest marketing project ever created in Turkey. Yaman Gezgin Kayboldu (“Yaman Gezgin has gone missing”) is a 3 months long ARG (Alternate Reality Game) project for Coco Star chocolate bar by The biggest FMCG company in Turkey. It is based on the story of Coco Star ads star going missing, and the quest to find him afterwards. The Transmedia story telling project consists of 10 sites, 5 games, an MSN bot, IVR line, search groups looking for Yaman Gezgin, photos, viral videos, promo boxes delivered to newspaper columnists and bloggers, clues in Coco Star chocolate bar packages, characters with Facebook profiles and other online personification trails like publications in online shopping sites. Yaman Gezgin was the first ever transmedia storytelling project used as a marketing campaign realized in Turkey. Interactive producer for the last 5 years. Manage teams or individuals from all over the world, such as France, India, Russia, Ukraine and Turkey. These past five years, alongside ongoing projects, produced 4 start up projects in local and global aspects. This specific position required not only leading cross functional teams but also having an active role in developing the creative idea and managing operations. Management of the social media team for clients such as Nike, Ikea and Canon. As the director of the agency, responsible of all operations such as, leading the team, having an active role in project management, quality and technical aspects of interactive projects. Team building, client relations and budgeting. 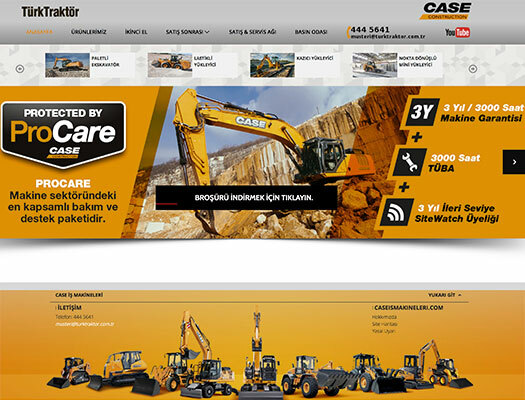 Designed the three wide scaled Turkish interactive marketing campaigns at 41?-29! Besides copywriting, worked as a game designer, puzzle architect and Transmedia storyteller.